This is an improved version of the City Mini. The City Mini GT is now equipped with all-terrain wheels which means you can now go from the city to the country. 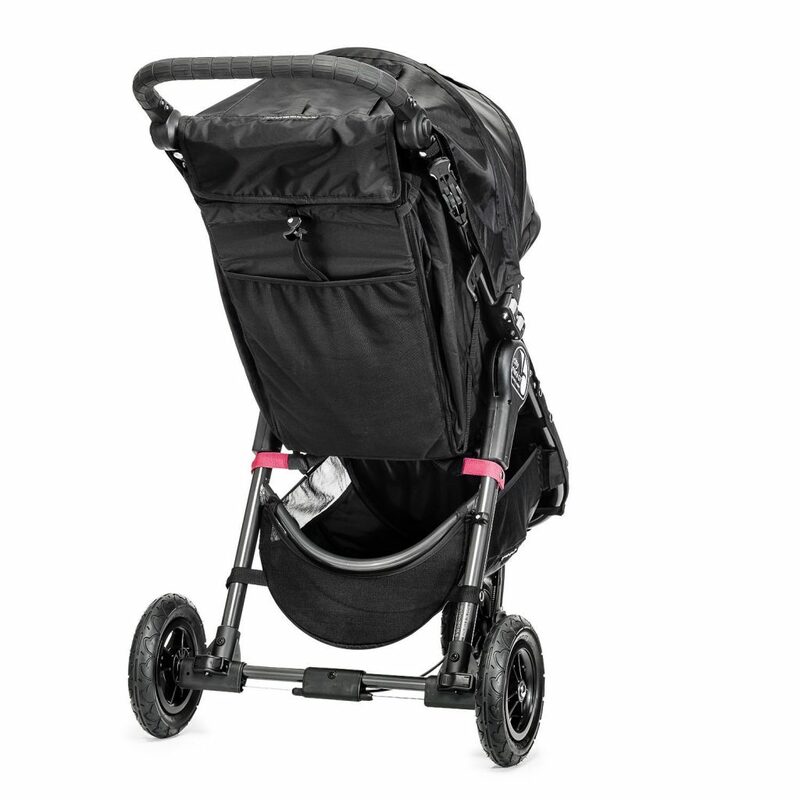 The 85” all ­terrain non flat wheels and front wheel suspension work in unison to give you full control on where and how you go while still keeping your child comfortable. 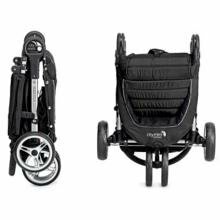 The handlebar is adjustable which means parents of any height can now push the stroller at their comfortable level. The hand­ operated parking brake is a widely complemented feature as well due to its convenience. Do not be fooled by its size. 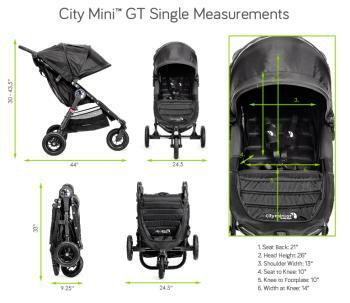 The City Mini GT is foldable as easily as an umbrella/lightweight stroller. The patented quick fold technology means all that you have to do is lift a strap with one hand and the City Mini GT will fold itself. 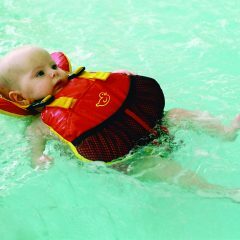 The auto­lock system will ensure the fold is locked for transportation or storage. It really is as easy as it sounds! The plush padded seat seat is reclinable to a near flat position with vents. 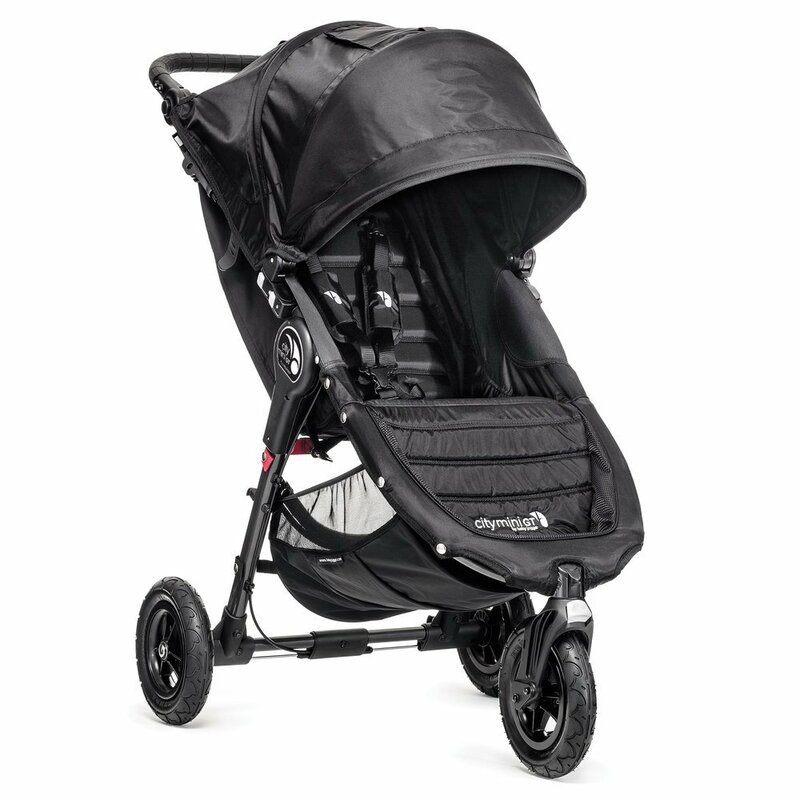 There is a retractable weather cover to make sure your child is comfortable and safe while you stroll. 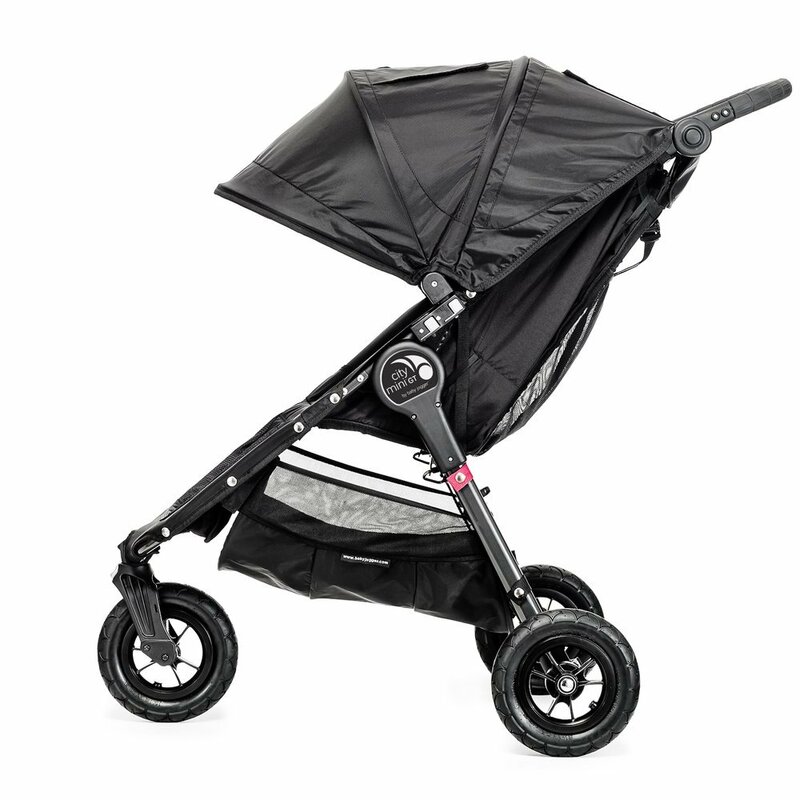 The UV 50+ sun canopy can open to multiple positions so you can adjust it accordingly to the sun’s position. 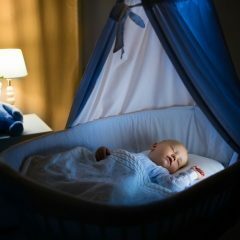 The two peek­a­boo windows allow you to keep an eye on your child at all times. 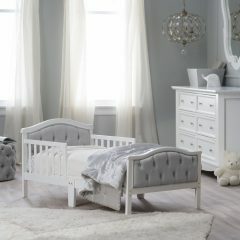 There is a pull­back lock storage at the back of the seat as well as a large­sized basket at the bottom ensuring you have enough spaces to store your stuffs like a diaper bag, purse, shopping and grocery bags. The City Mini GT comes in 5 colours – black, crimson/gray, lime/gray, sand/stone and teal/gray so you will have a variety to choose from.